Today is Prime Day on Amazon.ca and also on Amazon.com! 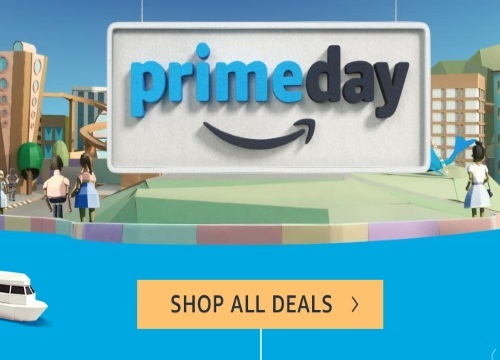 Prime Day is a one-day only shopping sales event filled with deals for Prime members! There are hundreds of deals and more than 2x deals than you see on Black Friday! If you aren't a Prime member yet you can sign up for a Free 30 Day Trial here and take part in this shopping event! You will not be charged anything, as long as you can cancel within 30 days. After your Free Trial, Amazon Prime is $79/year. Prime Members get exclusive deals plus Free Two-Day shipping, unlimited photo storage and more. Click here to browse Amazon.